Senate Republicans have taken the wraps off their version of the replacement of the Affordable Care Act, saying it preserves some of the important elements of the original legislation but is more sustainable. People who want to eliminate Obamacare altogether don't like it very much. Neither do people who want to keep Obamacare. The bill, hammered out behind closed doors, maintains some of the subsidies to pay for health insurance policies but rolls back Obamacare's expansion of Medicaid to low-income consumers. A number of organizations immediately lined up in opposition. AARP Executive Vice President Nancy LeaMond said the proposal would impose an “age tax” on older Americans, increasing their premiums and reducing tax credits. 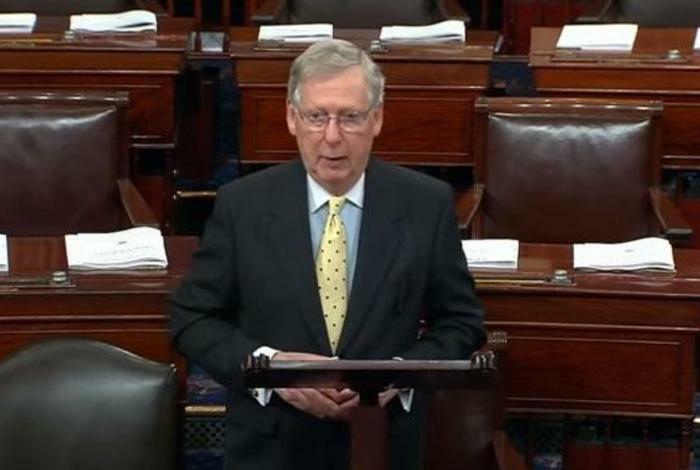 Senate Majority Leader Mitch McConnell (R-Ky.) said the bill is the result of extensive collaboration. "Through dozens of meetings, open to each and every member of the Conference, we had the opportunity to offer and consider many ideas for confronting the Obamacare status quo," McConnell said in a statement on his website. "We debated many policy proposals. We considered many different viewpoints." Dr. Georges Benjamin, Executive Director, American Public Health Association, also denounced the bill, saying millions would lose their health insurance under it. The Catholic Health Association announced its strong opposition to the Senate legislation. Sister Carol Keehan said the Senate should be able to do better. In the Senate, all Democrats have lined up against the measure and so far, four Republican Senators have announced their opposition. Should the four GOP lawmakers remain firm, the bill would be doomed to failure since the Republicans hold only a slim two vote majority in the chamber.